← What else could one call a Simon Morden interview – Rocket Scientist. I heard a song yesterday that brought a lump to my throat. I was driving along in my car when Daydream Believer came on the radio. 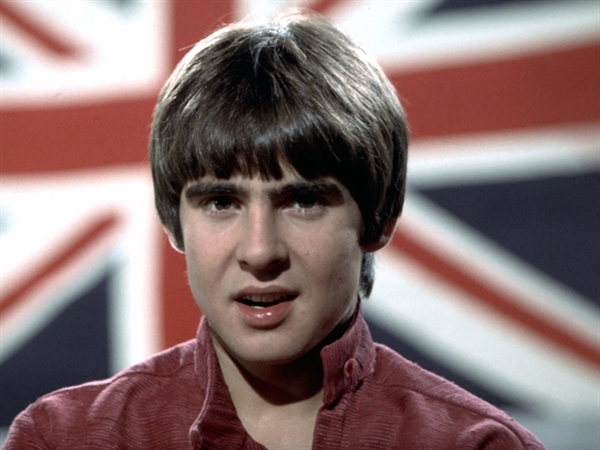 It was the first time I had heard Davy Jones’s voice since he passed away. I remember watching The Monkees on TV when I was a kid and he song brought back a wash or memories. But most of all what struck me was how innocent and niave and optimistic it is. Nobody was trying to make a masterpiece, all they wanted was to make a hit single – great tune, fantastic hook for the chorus and simple lyrics evoking young love. And they nailed it. But I guess my sadness, apart from the loss of Davy Jones, was for a greater loss, the loss of the innocence and naivety in society in general that was necessary to bring this song about, or at least to allow it even exist. I listen to the incessant beats of what passes for pop music – only for the time that it takes me to safely switch station (it’s always in the car) – and wonder how big business and reality television such as The X Factor and American Idol have been allowed to take music away from you and me. We used to own it. I played in a band once. The music we payed could have made it onto the radio – if we were any good – because we were playing songs – songs we liked, songs by other bands we liked, songs we wrote that we hoped people would like – but we didn’t need to audition for anyone or get on a TV show or be Christmas Number One just because we won a TV show. We just needed to play, for our own reasons, because of the music. I guess bands are still doing that but do they even imagine hit singles? They’re a thing of the past now. Nobody cares. Nobody sits with their radio, sitting excitedly through the top forty waiting for this week’s number one to be announced. That buzz has been stolen from us. That innocence. Everyone’s too knowing, too cynical. And I’m saying that as someone who has spent thirteen weeks on the Top Ten Cynics List. Maybe The Monkees – a pop group invented for the TV age – were where the rot began. So how sad am I getting nostalgic over the fake band that tried to be real? I guess it just goes to show how far we have fallen. At least the Monkees were an honest fake. Simon Cowell, give me back my music you ***tard. This entry was posted in Music and tagged American Idol, Davy Jones, Daydream Believer, Simon Cowell, The Monkees, X Factor. Bookmark the permalink. 1 Response to Real versus fake and The Monkees win hands down. Bob the music is still there, look no further than the bluegrass field (literally—they sometimes play in fields!) for musicians who mostly operate under the radar of Big Music. The average BG musician would wipe the floor with the average BGT/Voice/Idol winner. Or roots or folk or some parts of country or even look around a town like Omagh where we have a load of talented musicians doing all kinds of stuff that will never hit the charts or make them tons of money.